A number of good things are occuring that make me feel lucky to be here in this place at this time. Things are gellin' so to speak. First we are working hard, all of us on some creative projects. I'm excited for the future. Second, we are doing some fun things together. Here is an example. The Lighthouse Guild took an amazing trip to Cape Canaveral Lighthouse, with a special slide show by Director of Operations for the USAF Base, Sonny Witt and a boat tour complete with dolphins, manatee and maybe half a dozen great blue heron. It was an amazing journey and lots of fun. We saw the Cocoa Beach lighthouse off Merritt Island in the Mangroves near 1000 Islands. 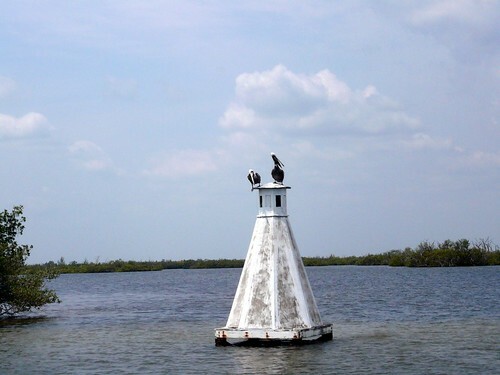 If you know where that is you know I am talking about a cute little lighthouse built by the local Yacht Club to keep folks from running aground on a sand bar in a Manatee area. It was a lovely day. Our Volunteer Crew at the lighthouse is pretty amazing. I continue to be impressed with how much fun they have and how much they contribute. They have such fun together. There is a lot of that spirit around these days and it's gratifying. Because it comes from a focus on opening our hearts to each other. 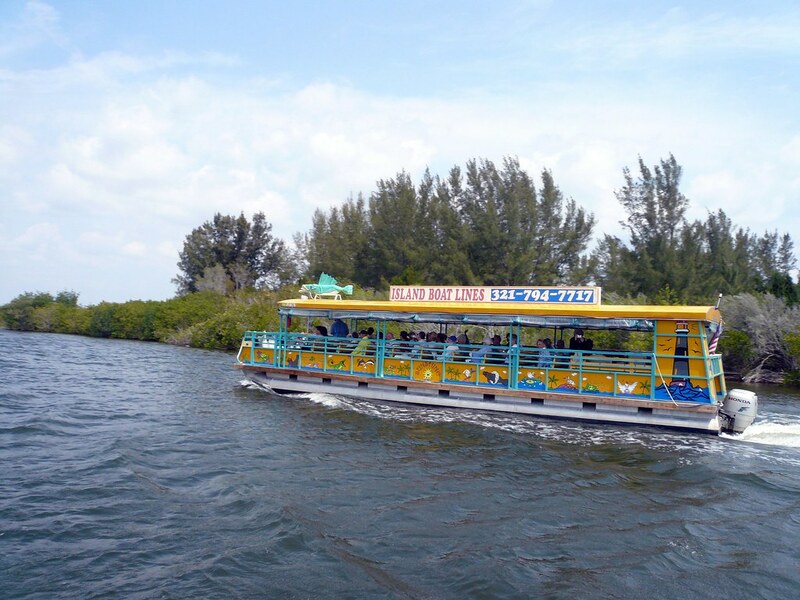 Check out how much fun they are having on this cool boat crusing around!!! I have been thinking about the process of building strong social systems and how important this is to work and life and the job we do. You know we each spend a bunch of time, a great portion of our lives in the work place. It takes joy and faith to remain happy. It takes being centered in our sense of self. It can take having a thick skin. We all do things we don't want to do once in a while. By business I mean our "good works" not just our cash flow. 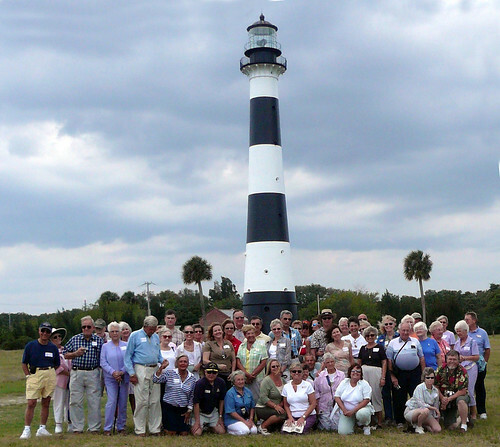 We have not only connected our preservation ethic to the lighthouse and tours, we've begun to share maritime programming with a host of people in a bunch of ways. And its so much FUN. Sheer fun. Great fun. Cooperative fun. Yeah, I know it's corny. I really mean it. In my life I run into people that when I talk this way, that think we are lying because they think I am saying that we have no conflict. Not true. Conflict in my view is a healthy part of having fun together and being REAL. Getting real can't happen if everyone is always pretending to agree with each other. We all have to sign on for the journey so to speak. And we keep working on it. I was up at the AAM conference in Chicago (great town..nice harbour Lighthouse) and was speaking on Strategic Budgeting. I ran into a bunch of people who were asking me if I liked my job, was it my "dream job." They asked? So many of us are not in our "dream jobs." I had to say yes. But you know it's the people who make it that by trying hard to get it right and keep it right. Even having a dream job takes work. Having fun together can take work. I feel lucky to have it right, despite the complications of organizational life. Just sign me feeling lucky.